On October 5, 1826, Elizabeth Jarvis was born in Hartford. When she was 30, she married industrialist Samuel Colt and 6 years later, upon his death in 1862, Elizabeth Jarvis Colt inherited controlling interest in Colt’s Patent Arms Manufacturing Company, the largest firearms manufacturer in the world. Elizabeth maintained control of the factory for most of her life, rebuilding and improving the armory after the devastating fire in 1864 that leveled the structure and the famous Colt dome. Elizabeth Jarvis Colt went on to become a respected civic leader, art patron, and philanthropist. Known as the “The First Lady of Hartford”, she served for 22 years as the president of the Union for Home Work, which provided daycare for the children of working mothers, meals, and access to a library and classes. Elizabeth was also the first President of the Hartford Soldiers Aid Society, an organizer of the first Suffragette convention in Connecticut in 1869, and the founder of the Church of the Good Shepherd. 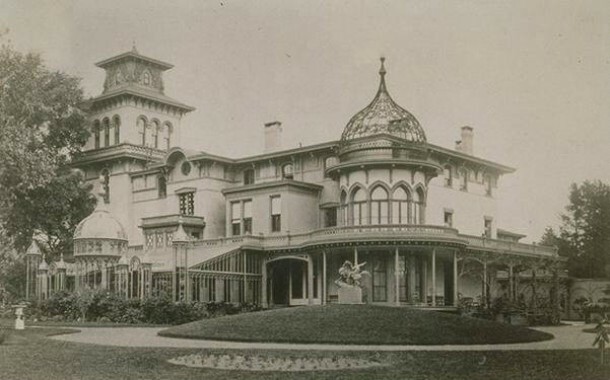 Upon her death, in 1905, Elizabeth bequeathed her vast collection of art to the Wadsworth Atheneum and funded the first wing in an American municipal museum to be named for a woman, the Elizabeth Hart Jarvis Colt Memorial Wing. Her commitment to the city of Hartford was also reflected in her bequest of the grounds and gardens of her beloved estate, Armsmear, to the city of Hartford, to form the 140-acre Colt Park. Armsmear itself became a home for the widows and dependents of Episcopal clergymen. “Elizabeth Hart Jarvis Colt.” Connecticut Women’s Hall of Fame, 2017. Link.